This fall, our Philadelphia BioEYES team had the pleasure of working with Mrs. Courtney Thompson, the Biotechnology teacher at Roxborough High School. This was their first year working together, and not only did they complete the traditional BioEYES genetics lab, but they went back for a second week to pilot a new unit on temperature and its effect on zebrafish embryo development! 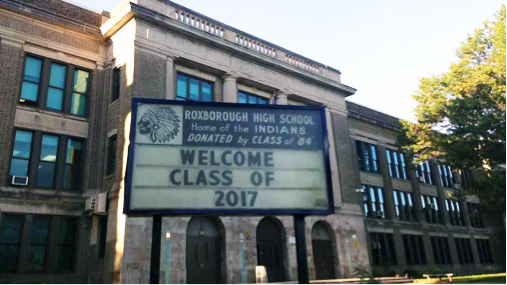 This two-week partnership was made possible by Sarah Robbins, the Roxborough High School STE(A)M Scholars Project Lead, and the District 1199C Training & Upgrading Fund. 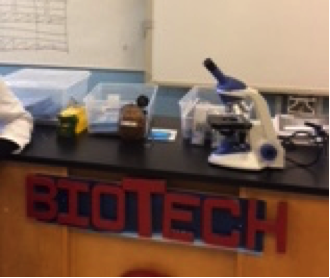 And check this out: Mrs. Thompson has some pretty cool science equipment in her classroom. For example, you can find an incubator, water bath, microscopes, microwave, refrigerator, mini-autoclave, and even a thermocycler (a.k.a. PCR machine or DNA amplifier). Thank you Mrs. Thompson for welcoming us into your classroom, and we wish you and the students a great year of science learning!